I recently had the chance to sit down with chef, cookbook author and CEO of Masterbuilt, John McLemore, for a delicious lunch here in Birmingham, AL. John was in town for the day on a media blitz, and I'm so thankful that he took the time to meet with me. Upon arriving, I was greeted by the entire gang - his wife Tonya, his daughter, his Social Media Specialist and even his pilot! We had a great time at lunch, and I immediately felt like I had known them for years...What a wonderful group of folks. We talked about all kinds of fun things - memories of his Memaw's Southern Fried Chicken, the story surrounding his most unforgettable meal, the strangest thing he's ever eaten (it was in China!) and even a visit with Paula Deen, in which she prepared an amazing breakfast spread for John and his family at her home. I love that John's cookbooks have such a big focus on family. Flipping through his cookbook is like looking through a family album, filled with wonderful stories, photos and recipes. Masterbuilt is their family business, and was first started by his father back in 1973. When he was 19, John and his brother Don became part-owners with their father, and in 1998, John and Don became sole-owners of Masterbuilt. 1. Where in the south did you grow up? I was born in Hawkinsville, GA and moved to Columbus, GA at 6 years old. 2. Is there a particular family recipe that means the most to you? MeMaw's Southern Fried Chicken. We used to fight over the skin! It's the only recipe that appears in both of my cookbooks. 3. What's the secret to the perfect southern fried chicken? Soak the chicken in milk or buttermilk for at least 2 hours before frying. 4. Tell me about your most unforgettable meal. It has to be the Steak & Lobster on my first date with my wife, Tonya! We had been lobstering down in the Florida Keys and had brought back tons of it. We cooked steak and lobster that night at my house. Tonya came over - on a blind date, set up by our mothers! - and the rest is history. 5. What family traditions centered around food do you look forward to most around the holidays? Deep frying the Thanksgiving turkey. When I was 18 years old, I decided that I would deep fry the turkey. The women in the family were worried that it wouldn't turn out right and be ruined, so one family member decided she'd secretly make a roasted "back-up" turkey...just in case. On Thanksgiving day, my turkey was a major hit. The only reason that anyone ate the roasted turkey that year was because we ran out of the fried turkey! We've fried it every year since! 6. What are your favorite foods from childhood? 7. 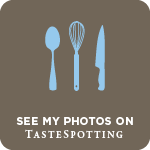 Which recipes from your "DADGUM That's Good!" cookbooks make up your favorite tailgating menu? 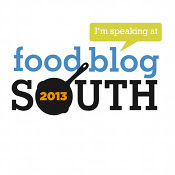 Buffalo Wings, Fried Wings, Smokey Pimento Cheese Dip, Redneck Ribs, Southern BBQ Shrimp and Bacon Burger Dogs. 8. Which Masterbuilt product should be at the top of everyone's must-have list? It's a close race between the electric smoker and turkey fryer. 9. What 5 items are always stocked in your kitchen? 10. What would people be surprised to find in your kitchen? Three different popcorn machines...We are popcorn addicts! 11. What's the most unusual thing you've ever eaten? Roasted beetle in China. Also - A deep fried PB & J sandwich. Now, how about that GIVEAWAY?!? 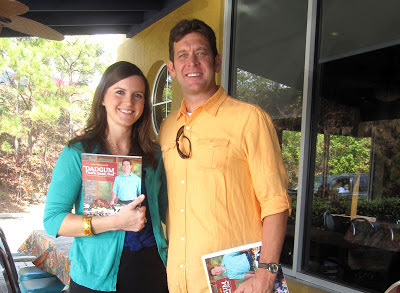 I am so excited to be giving away an AUTOGRAPHED copy of John's latest cookbook, "DADGUM That's Good, Too!" The book is filled with awesome recipes that are divided into 3 categories - Smoking, Grilling and Frying. What's your favorite way to prepare the Thanksgiving turkey? 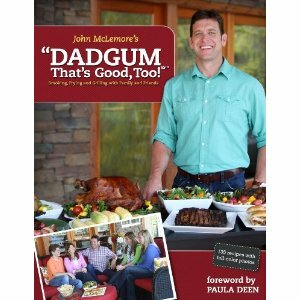 Tweet the following "NEW GIVEAWAY: Win an autographed copy of DADGUM That's Good, Too! @SugarSpicebyC @Masterbuilt @JohnMcLemore #giveaway http://sugarandspice-celeste.blogspot.com/2012/10/my-interview-with-john-mclemore-giveaway.html"
Entries must be submitted by midnight (CST time) on Thursday, November 8th. A winner will be picked at random (using random.org) and will be announced on Friday, November 9th. Please make sure you include your name and email address so that I will have a way to contact you if you win...especially if you leave a comment using the "Anonymous" option. At this time, the contest is open to US residents only. Giveaway Winner - Tasia's Table!